Dez Bryant is taking some hits nationally. I just don't think it's fair. 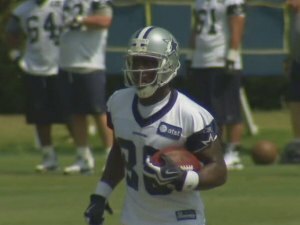 Dennis Thurman went through his own version of rookie hazing with the Dallas Cowboys and thinks Dez Bryant should just get with the program and accept his rite of passage in the NFL. 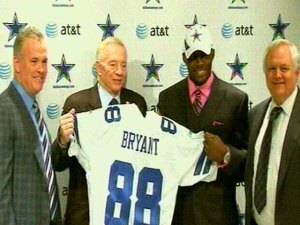 Cowboys head coach says rookie wide receiver Dez Bryant doesn't have to carry veteran Roy Williams shoulder pads. 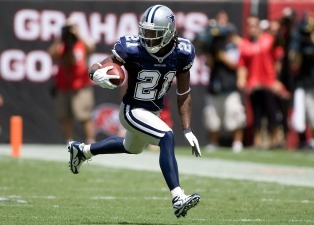 Mike Jenkins enters his third NFL season and is the best corner on the Cowboys.